We are all musicians of various ages and styles getting together each Thursday to *showcase our talents and simply have a good time! We wanted to share this with you, so come along, tune in, and enjoy! 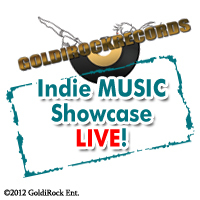 Our good friends at GoldiRock are manning the cameras and microphones for us and greetings folks that tune in! Have a GREAT season and a Happy New Year! We will be adding our personal links in here soon as well. *All tips collected are either divided in whole or in part to the artists, where applicable as well as to help cover the awesome job GoldiRock does bringing cameras and equipment to every 'open mic'. Thank you for your encouragement and support to all the artists! Guitars, basses, flutes, Pianos, Vocals, violins, and so many more things!